The Bucks didn’t play well with the lead in the win. They went up 23 points in the third quarter, only to see the Lakers go on a 16-0 run at the end of the third quarter and into the fourth. 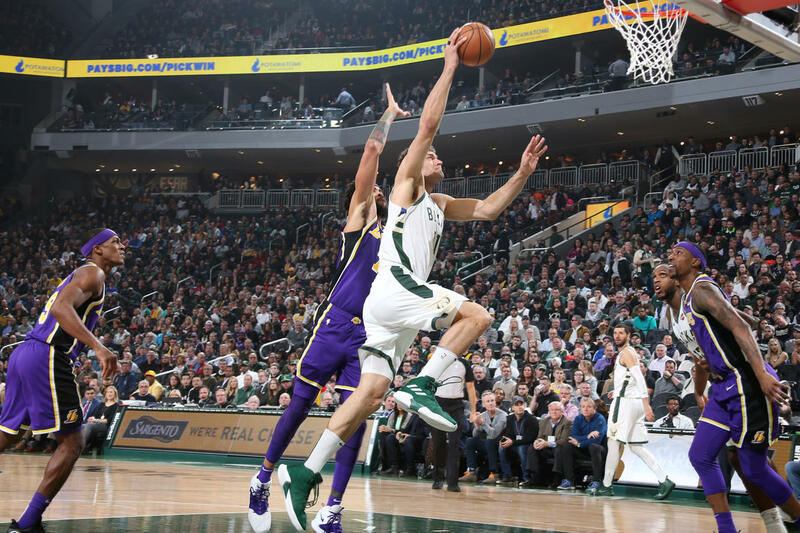 Eric Bledsoe added 14 points, eight rebounds and seven assists, while reserve Pat Connaughton added 13 points and eight rebounds. Antetokounmpo was held out with a sprained ankle. The Bucks also played without Ersan Ilyasova (illness) and Pau Gasol (left ankle soreness). The Bucks did get some minutes from point guard Tim Frazier after he signed his contract with the team earlier in the day. Frazier spent training camp with the Bucks and was signed to a contract after the team released big man Christian Wood. The Bucks are back in action tonight, facing the Cavaliers in Cleveland.